In the NBA, dynasties matter. While most teams compete hard and play hard, once a team strikes gold, they usually keep it. 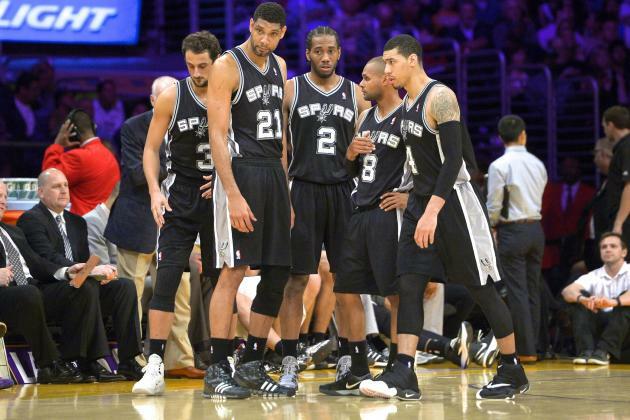 Unless drastic measures tear apart a team, they usually can remain consistently a contender through the years. For us, we've seen some amazing team runs so far, with regular season records being broke, multiple 60 win seasons in a row, and a ton of championships to go along with it. Today, we look at the best runs of the NBA, with a look at the most dominant runs in NBA history. I'm sure one of these will get some hate (it's the most recent), but the truth is undeniable. Let's get into it. -The Bill Russell Era is the easiest way to start this off. I can't say much about an era that I didn't live through outside of highlights and stats, but to deny what the Celtics accomplished in that era is criminal. I'm not the biggest fan of the 60's era of basketball, as I believe the game has evolved and gotten much better, but make no mistake about it, Bill Russell and the solid team around him ended up winning 9 NBA Championships during this decade and had 9 Finals appearances, going 9 for 9 in the decade. One could also include the two titles before it, but the 60's were all about the Celtics and they only missed the Finals ONE time in the entire decade. That's a whole different level of dominance, even if the era made it a bit easier. -The Miami Heat era of LeBron, Wade, and Bron saw two straight Championships and of course, 4 straight Finals appearances. Say what you want about the team being stacked, they still had to have the chemistry and the talent to get to the top of the mountain and they did. They took out a younger Oklahoma City Thunder team, along with a stacked Spurs team that seemed to have their number in back to back year. The two times they were overmatched in the Finals, it was against a well conditioned Mavericks team and a revenge led Spurs team. Still, LeBron would pick up two MVP awards during this run, the Heat would put a 66-16 season, and Wade would show he can be solid in a deferred role. The trio of Bron, Wade, and Bosh owned the East much like the Cavs are beginning to do now. 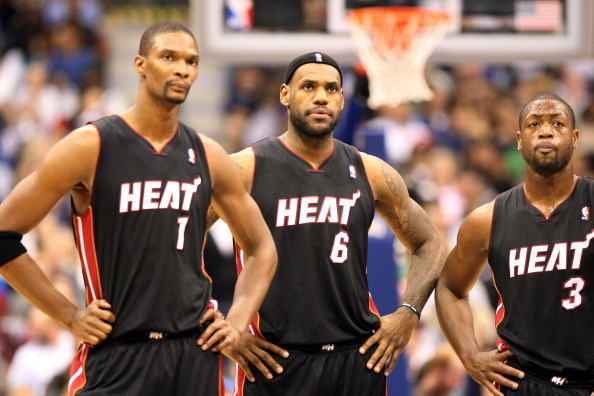 The Heat would be remembered for seemingly starting a whole new wave for the Super Teams era, and though that's not entirely true, they are the most infamous super team of this era and instead of the Boston Big 3, the Heat make this list. -The Kobe and Shaq era was one of the most special eras in the history of the game. Kobe wasn't the all time great player he would come to be just yet, but he was growing daily and getting better and better. 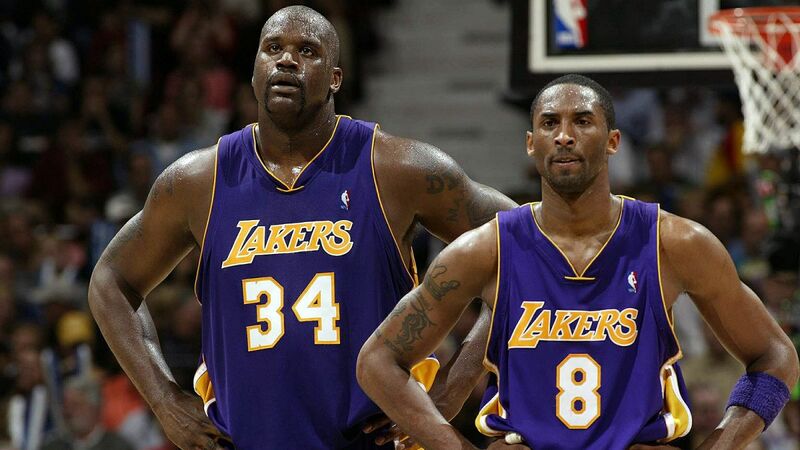 Shaq was in his prime for the beginning of this run, and he would pick up the MVP award in the first year of their run, and put up a 67-15 record on the road to the Lakers first championship in over 10 years. They would come back the next year and deal with some issues during the regular season, but we saw that the Lakers were tougher than every other team in the NBA, as they would pull out a 15-1 record in the playoffs and win their 2nd straight title. The 3rd year in a row saw demolish the competition once again, with AR sweep of the New Jersey Nets. 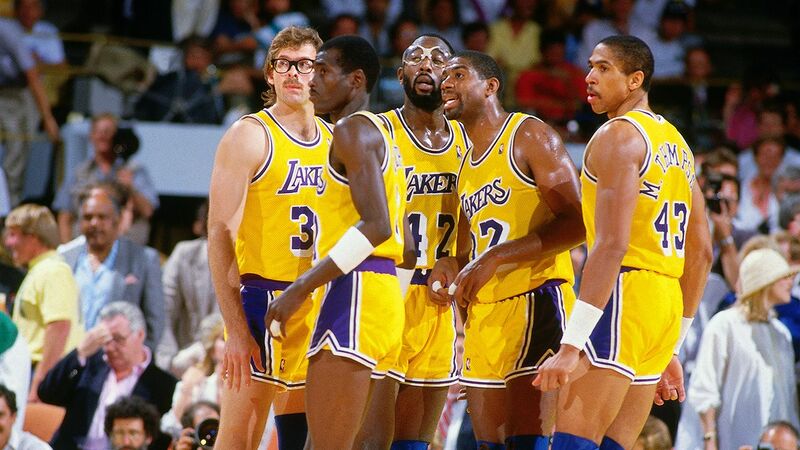 The Lakers are one of the greatest teams ever, and this run was one of the most fun to ever watch. -I consider this the Bird and Mchale era so to speak, but of course most would say it's all Bird. Regardless, Larry Bird was the leader of this Celtics team and he led them to true greatness. They would own the East during this period, and make 5 Finals before eventually giving control of the East over to the Pistons. In the early and mid 80's, the Celtics would end up winning 3 NBA Championships, and Larry Bird would end up winning three straight MVPs as well. If that's not dominance, I don't know what is. The Celtics are one of the greatest dynasties and outside of the 60's, this is their greatest period of basketball. -After the Shaq years, Kobe ended up going out there and owning the court at every twist and turn. His team wasn't very good for the first few seasons after Shaq left, but Kobe was carrying them on his back until Lamar Odom began to rise up and Pau Gasol was brought in. With three Finals appearances, 2 NBA Championships, a 65-17 season, and the no. 1 seed three years in a row in the West. The Lakers were finally back to prominence after a 4 year layoff after Shaq, and this proved that Kobe was one of the best players of all time as he led this team to the promised land. 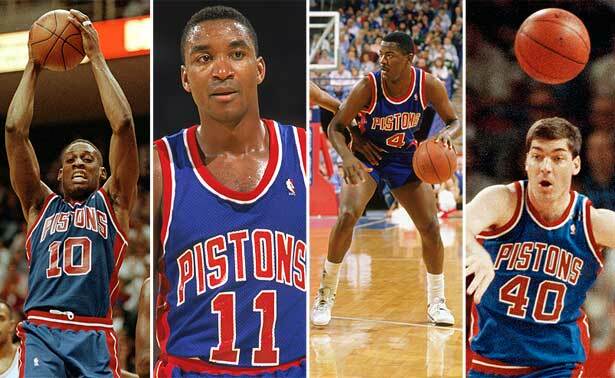 -The most underrated dynasty of them all had to be the Bad Boy Pistons. Isiah Thomas, Joe Dumars, Bill Laimbeer, Dennis Rodman, and many others made this team so great along with the legendary Chuck Daly as the head coach. 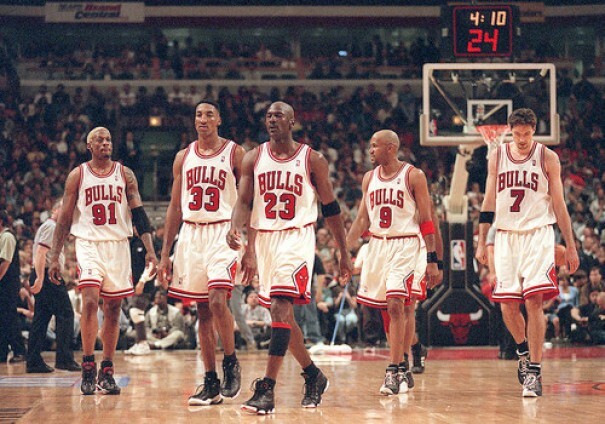 They were brash, aggressive, tough, and most of all, they stopped Michael Jordan in his prime. The Jordan Rules were applied, the Lakers were swept, and the Blazers were easily handled by the Pistons. This team is one of the best and one of the toughest I've ever witnessed, possibly the toughest in NBA history with unparalleled tenacity. -This is honestly an unfinished entry because the rest of the season will be telling for them. There's the chance that this team could win multiple titles in the coming years and put up 60 win seasons for another season or two considering the talent they have and their age. Two top 5 players in Kevin Durant and Stephen Curry, a top SG in Klay Thompson, and a Defensive Player Of The Year candidate the last three years in Draymond Green, along with solid bench work from Andre Iguodala, Ian Clark, and Shaun Livingston could see this Warriors team continue the reign atop a Western Conference that's beyond stacked. They seem likely to take the no. 1 seed for the third straight year in this Western Conference and if you try and deny what an accomplishment that is, you're crazy. A 67-15 winning season, a NBA Championship, followed by a 73-9 season and a NBA Finals appearance, along with a ton of records broken, not to mention a back to back MVP win for Steph Curry, and the no. 1 seed clearly. You might wonder why the Cleveland Cavaliers aren't on this list after making the Finals twice also and winning a title against the Warriors, but the one thing that the Cavs haven't been able to do is walk away with the no. 1 seed and a clear cut 60 win season. That stops them from being on this list, but if the Cavs end up winning or making the Finals another time or two, they should be added to the list regardless of regular season struggles. Back to Golden State. 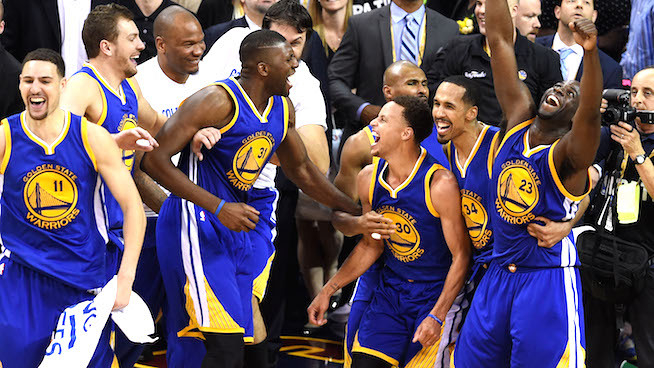 This year at present time, the Warriors are 63-14, with 5 games to go in the regular season. If they finish with a solid record in the last 5 games, which is possible, they could very well end up as the first team to ever win 65 games three seasons in a row. All signs now point to that happening, and if it does, I'd go so far as to crown them the best regular season team I've seen since the Bulls days. The real test for them will come in the playoffs, but if they make the Finals and end up winning another title, they will certainly be more justified than ever on this list. Greatness in the NBA should be appreciated and all 3-1 jokes and KD slander aside (the Warriors were great before him), the Warriors are one of the best teams we've seen in NBA history and they ushered in a new era of the NBA, for better or worse..
-The Spurs are on the verge of their 60th win and back to back years of 60 plus win seasons. Though it isnt official just YET, I decided to go ahead and crown them with that accolade. During the 2002-2007 era, Tim Duncan won 2 MVPs, and the Spurs won Championships in 2003, 2005, and 2007. Their performances against the Nets in 2003 and Cavs in 2007 showcase dominance and that's exactly what the Spurs were during this era. 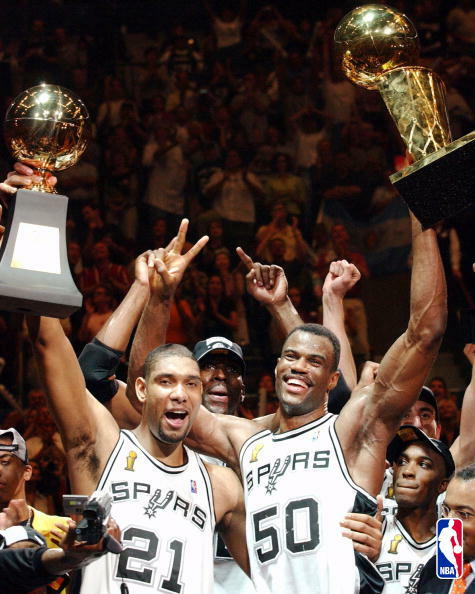 Manu, Duncan, Tony Parker, the final year of David Robinson, and more were included in that first run and in every Finals appearance during this time, they would walk away victorious. The 2013-2017 run so far has seen 3 seasons with at least 60 wins and back to back Finals appearances, which never happened during their 2002-2007 run and a NBA Championship. The Spurs haven't found their way back to the Conference Finals or NBA Finals since 2014, but as a regular season team, they've never had a season under 55 wins during this most recent period thanks to the rise of Kawhi Leonard, who will likely go down in history as one of the greatest Spurs when his career is over. It remains to be seen if the Spurs get back to championship glory this season, but even if they don't, they have a storied history the last 4-5 years that makes them one of the best runs in history and 2 NBA Finals appearances in that span with a championship to solidify it. They did it with great regular season records, NBA Finals appearances, consistency, and utilizing the system to near perfection. -There's no team that has showcased the consistency and dominance that the Bulls have. 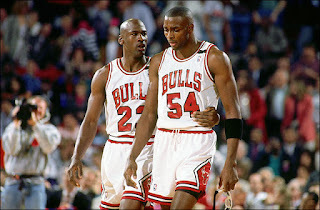 They went 3 for 3 in their first 3 NBA Finals and Michael Jordan was exceptional in every win they had. 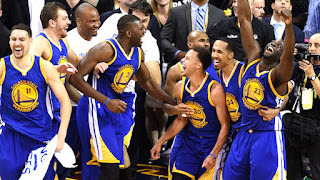 The team defeated the Lakers, the Blazers, and the Suns, but remained the constant during their first three peat. After Michael Jordan returned following two seasons of retirement, they seemingly got even better, recording two of the greatest regular season records in the history of the game with a 72-10 record during the 1995-1996 season, along with a 69-13 record the following season. They'd cap off an amazing run with another 60 win season as they went 62-20 and secured their 2nd three peat and 6th Championship in 8 seasons. When speaking of runs and team dynasties, there is nothing compared to the Bulls except maybe the Showtime Lakers and the Celtics of the 60s. They went to 3 straight Finals two different times, led by the greatest player ever in the history of the game. 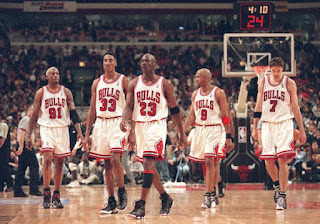 Michael Jordan, Scottie Pippen, Dennis Rodman, Tony Kukoc, and Horace Grant were the biggest names to come from this Dynasty, but this Bulls team was one of the greatest teams I've ever witnessed and they had one of the best runs in the toughest era of basketball. For that, I think they're the greatest run in NBA history, even better than the 60's Celtics (a much different time) and just above the Showtime Lakers because they went 6 for 6 in the Finals against some of the toughest teams we've witnessed, including the Showtime Lakers. Perfection.